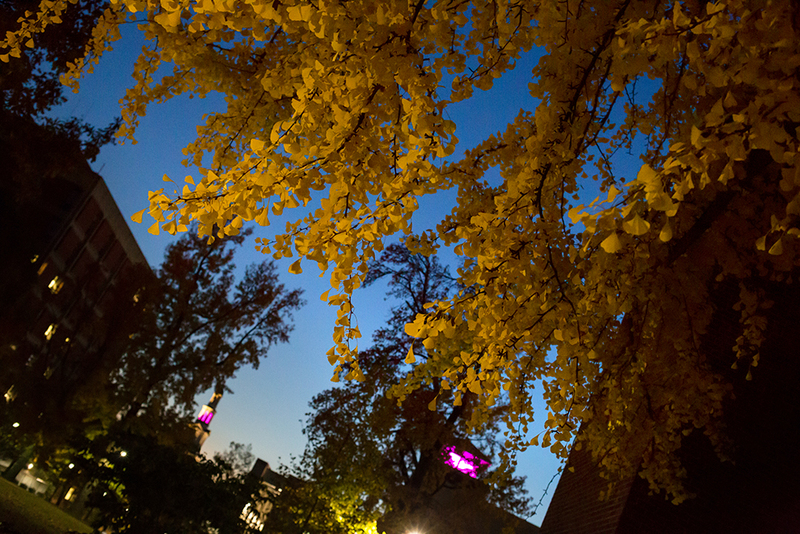 There are several beautiful ginkgo trees around campus. They’re even beautiful at night. I’ve got one right outside my office, and boy, is it gorgeous right now. This isn’t it. This is another ginkgo between the administration building and the Gatton Business College. I caught it tonight as I was looking at the Alzheimer’s awareness lights in Gatton and Memorial Hall. It’s a beautiful time of the year.